When the Metropolitan Museum of Art's Costume Institute reopens on May 8th, it will have a new name. The Institute is famed for the Gala held each year featuring celebrities, magnates, and socialites that rivals only the Oscars in terms of glamour. 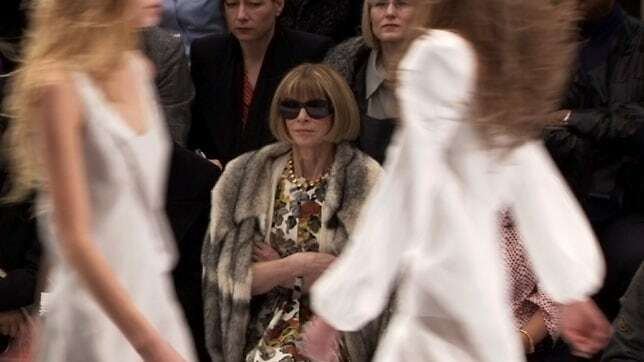 American Vogue Editor-In-Chief Anna Wintour has sat at the helm of the Institute since 1999 where she raised over one hundred million dollars in donations. So it comes at no surprise that it will reopen as the Anna Wintour Costume Center, a statement of her legacy as a skillful communicator, activist, and editor. To celebrate this prestigious honor, we decided to take a look back at Anna's reign as the queen of fashion.